Recently, I’ve seen quite a few bloggers (such as the lovely FrannyMac) do posts where they give thanks for little things that have made them happy. I really love reading these posts and thought it was a great concept to work alongside my ‘Happiness Project.’ So I decided to keep a note on my phone of anything that has made me happy during the month of July, so I can share my little happy moments with you here. I think it’s so important to try and find positives, especially when you struggle with depression like I do. It can be very easy to feel like things have been rubbish and nothing good has happened, so by consciously looking for the rainbows amongst the storm clouds, it can help us to realise that there are glimmers of light even in the darkest of days. Here are my happy snippets from July. What did you get up to in July? 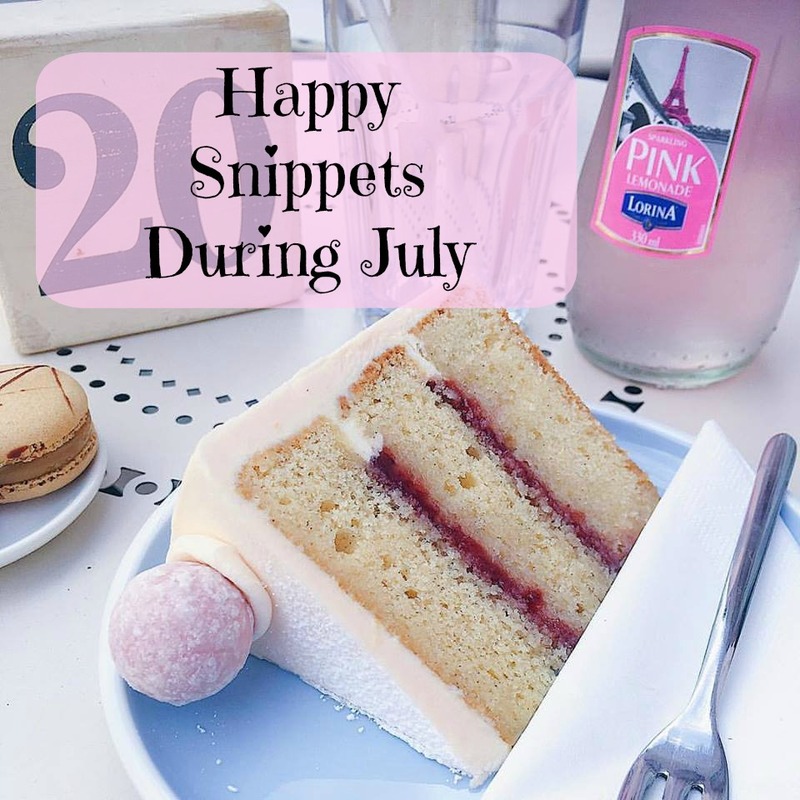 Do you have any happy snippets to share? What a lovely blog post! Sometimes it's the little things that bring the most happiness.